MultiBrief: Replacing NAFTA: A better 3-country pact ahead? Replacing NAFTA: A better 3-country pact ahead? Canada and the U.S. have renegotiated the North American Free Trade Agreement, which took effect Jan. 1, 1994. President Trump, who called NAFTA “the worst trade deal ever” on the campaign trail, praised its successor, the United States-Mexico-Canada Agreement (USMCA). "Promise made, promise kept," the president said on Twitter, of his pledge to renegotiate NAFTA to improve trade fairness for American businesses, consumers and workers. President Trump, like Sen. Bernie Sanders of Vermont, who in the 2016 Democratic presidential primary challenged the eventual party nominee Hillary Clinton, raised economic issues like the NAFTA. That stance resonated with voters, especially in Rust Belt states where blue-collar employment has plummeted. "Important progress has been made with the removal of investment terms that help outsource jobs," said Lori Wallach, director of Global Trade Watch for Public Citizen in Washington, D.C., in a statement. The USMCA also initiates "a dramatic reining-in of NAFTA’s outrageous corporate Investor State Dispute Settlement tribunals under which corporations have grabbed hundreds of millions from taxpayers after attacks on environmental and health policies," according to her. Simon Lester is the associate director of the Herbert A. Stiefel Center for Trade Policy Studies at the Cato Institute in Washington, D.C., on the other side of the political spectrum from Public Citizen. 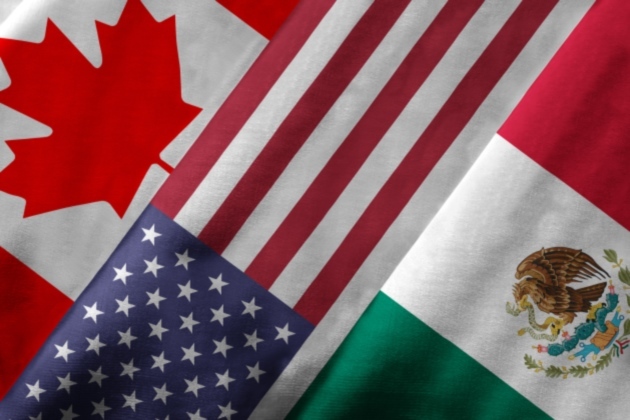 "The new USMCA trade deal is kind of a mixed bag," he told MultiBriefs. "There are some improvements in the form of liberalizing trade in some Canadian agricultural products." By liberalizing trade, Lester refers to reducing protectionist trade barriers like tariffs, or taxes, on businesses and households that hike prices of exports and imports, which characterizes the escalating trade war between China and the U.S. This liberalizing move appears to contradict President Trump’s "America First" stance on trade that prioritizes stateside exporters over foreign importers. Nevertheless, the USMCA could have been worse, according to Lester, which is not a ringing endorsement. "All in all, it is not too bad," he said, "although U.S. trade resources probably would have been better spent on liberalizing trade with countries with whom we did not already have a trade agreement." Richard Trumka, president of the AFL-CIO, struck a cautious note on the USMCA, calling for further examination of the pact. "The text we have reviewed, even before the confirmation that Canada will remain part of NAFTA," he said in a statement, "affirms that too many details still need to be worked out before working people make a final judgment on a deal. Our history of witnessing unfair trade deals destroy the lives of working families demands the highest level of scrutiny before receiving our endorsement." Shifting production from the U.S. to Mexico has been a complaint of organized labor in America for a quarter-century. Wallach of Public Citizen concurred. "Unless there are strong labor and environmental standards that are subject to swift and certain enforcement," she said, "U.S. firms will continue to outsource jobs to pay Mexican workers poverty wages, dump toxins and bring their products back here for sale." Trump, Canadian Prime Minister Justin Trudeau and Mexican President-elect Andres Manuel Lopez Obrador have 60 days to sign the USMCA. The latter takes office on Dec. 1. Back in the U.S., Congress must approve the USMCA, as it did NAFTA 25 years ago. That green light is in doubt, however, if Democrats take control of the GOP-majority House after the midterms in November. Seth Sandronsky lives and works in Sacramento. He is a journalist and member of the Pacific Media Workers Guild. You can reach him by email at sethsandronsky@gmail.com.